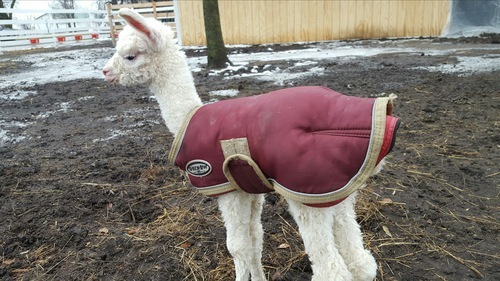 We are in love with her fleece! Her personality is one of the best! 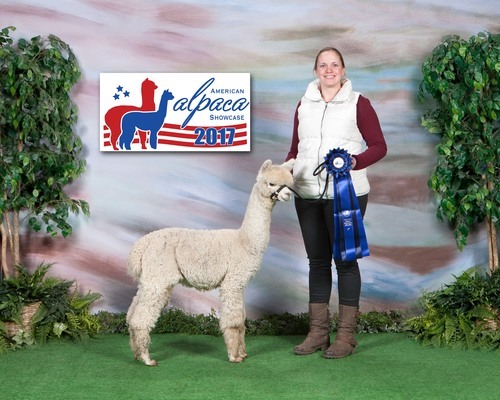 She has produced a blue ribbon winner cria for us already! We can't wait to see what else she can produce. 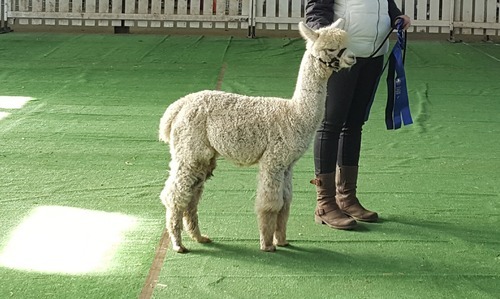 The fleece on this boy speaks for itself! The luster is gorgeous! Light, bright, and organized. 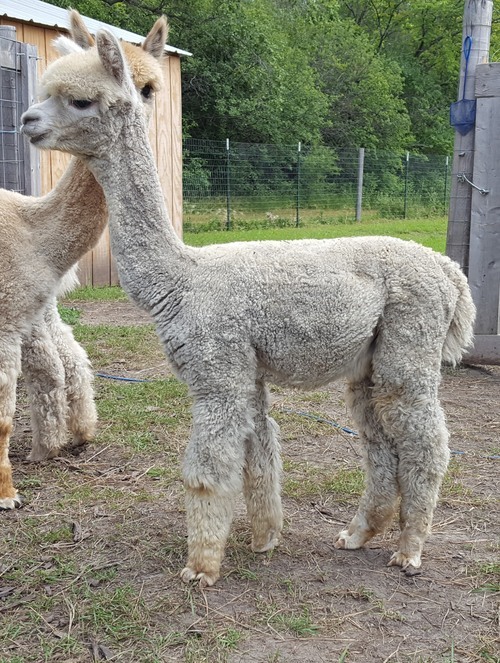 Denny needs a little more time to grow up to really blossom into his fleece! 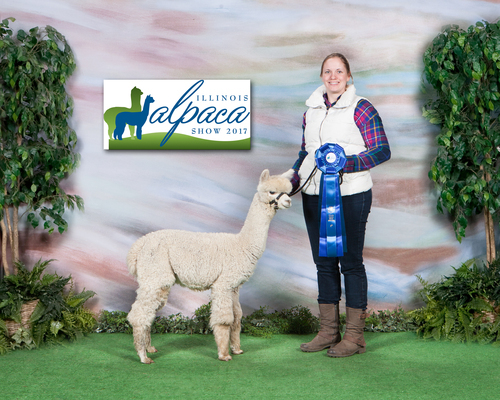 We are excited to see how this boy matures! 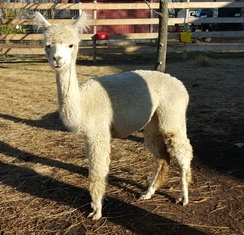 Currently, Denny is a bit on the smaller than average size, so we will not be breeding him. 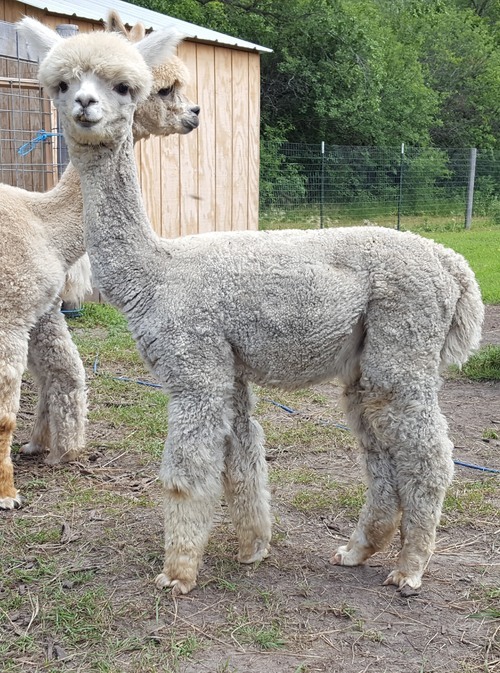 What a beautiful fiber male! He is extremely easy to handle and super calm. We adore his personality.